Affordability was the most important criterion on this list. So we picked places where home prices were at least 20% below the U.S. median of $158,100 (1st Quarter of 2012, National Association of Realtors). Secondarily, we limited our selection to towns and cities with a higher than average cultural life, or those with exceptional recreational possibilities like being on a large lake. And lastly, we ruled out towns from the reputations for high property and income taxes. See bottom of article for more details about how we developed this list. 1. St. Petersburg, FL (C) $60,000*. St. Pete offers a happy compromise in a very livable city,with many desirable neighborhoods and plenty of culture and recreation. Since St. Pete is on a peninsula between Tampa Bay and the Gulf of Mexico, almost everything is near the water. 2. Paris, TN – Paris is situated between 2 giant lakes, one of them being among the largest man-made lakes in the world. 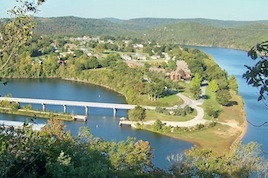 Paris is a small town of about 10,000 in northwest Tennessee, 15 miles from the vast and popular Land Between the Lakes recreation area. The median price of a home in 2012 was $65,000 (C). 3. Lake Eufaula, OK – This area in east central Oklahoma is a popular resort and a low-key, relaxing retirement spot. Lake Eufaula has approximately 143,000 acres of water and over 600 miles of shoreline. Average home prices according to one source were about $70,000 (C) in early 2012. 4. Port Charlotte, FL – An amazing 40% of the homes in Port Charlotte have water access, thanks to a maze of canals and estuaries, complete with hundreds of species of marine life. There are dozens of active adult and 55+ developments /neighborhoods to choose from. The median value of a home here was about $75,000 (C) in early 2012. 5. Clearwater FL (C) $80,000*. Clearwater is the smallest of the 3 cities clustered here (St. Pete and Tampa are the other 2), and has the most small-town atmosphere. The area abounds with active adult communities and 55+ developments for retirees, along with rivers and bays for boating and fishing. 6. Mesa AZ(C) $80,000. This is the 3rd largest city in Arizona and has a suburban feel. The nearby recreation is great, and there are a host of active communities to choose from. 7. Leesburg, FL – This waterfront town in central Florida boasts 6 public beaches on 3 lakes, plus a yacht club. The centerpiece of the town is a former WPA project, the Venetian Gardens Waterside Park on Lake Harris. There is a community college plus a number of active adult communities to choose from. 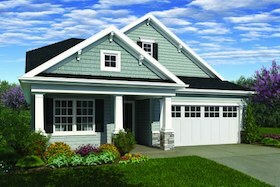 The median home sold for $90,000 (C) in the 1st quarter of 2012. This bustling small city is beloved by its residents. Yet hard times have left it with a median home price of $96,500 (NAR), a fraction of the national average. Highlights include The Heritage Hill District, one of the largest urban historical districts in the nation, in addition to the Gerald Ford Museum. 9. Murphy, NC – The downtown is beautiful with tree lined streets and many historic buildings restored to their original state. The climate is mild and the scenery is breathtaking with mountains, lakes (several large ones like Lake Hiwassee), and streams. The median home price was $100,000 in early 2012 (C). This affordable city in Oklahoma has one of the world’s top Mozart Festivals, Frank Lloyd Wright’s only skyscraper, an Arts Center, a stunning Community Center, plus 2 college campuses. And they are just some of the surprising treasures in Bartlesville. According to City-Data the median selling price of a home in 2011 was just over $100,000 (C). 11. Myrtle Beach SC (C) $100,000. Myrtle Beach is a bargain. It offers low-cost housing, 120 golf courses, and of course – the Grand Strand, a great sandy beach that runs uninterrupted for almost 60 miles – from Pawley’s Island in the south to North Myrtle Beach. 12. Port Isabel, TX – Port Isabel is a beach town and a popular resort, as well as being a retirement destination. Fishing, beach going, and relaxing are popular activities. The area is quiet and the weather is warm in the winter. Median home price was $105,000 in early 2012 (C). 13. – Boynton Beach, FL – Boynton Beach has always been the step-child to its more prosperous neighbors like Delray Beach and Palm Beach. It’s the same ocean, just a few miles north or south. 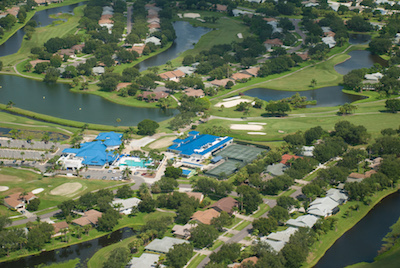 Boynton Beach, like most of south Florida, has had a real estate meltdown. Right now, prices are reasonable. The median home price in 2006 was over $350,000 – in the first quarter of 2012 it was $110,000 (C) (houses/condos close to the water will be more). There are many communities not far from or even on the beach that the careful shopper can choose from. 15. Fort Myers, FL $135,900 (NAR) in late 2012. Ft. Myers is old and new Florida at the same time. Located on the banks of the Caloosahatchee River on southwest Florida’s coast, its roots go back to 1886. It has the charming Thomas Edison Museum and a beautifully restored downtown along the river. It also has dozens of active communities. The median selling price of a home in Chattanooga was $135,000 (NAR) in late 2012. Chattanooga is famous for its friendly people, its Civil War history, and for a milder climate and lower cost of living. 17. Hayesville, NC – Lake Chatuge near Hayesville has over 130 miles of shoreline, much of which can never be developed. The artists’ community in Hayesville is diverse and growing, which gives the town another dimension. Median home price was $120,000 in early 2012 (C). 18. Las Vegas, NV (NAR) $122,100. The Las Vegas strip is justly famous for its glitz and many attractions. Even if you don’t ever bet a single nickel, it is worth it to see the astonishing architecture and excess that are Las Vegas trademarks. There are dozens of active communities to choose from. 19. Mount Airy, NC. Zillow reports median list price of a home in Mount Airy was about $124,900 in mid 2012. Andy Griffith, who hails from here (Mount Airy was the inspiration for Mayberry), has a theater named after him, the Andy Griffith Playhouse, which features regular community productions. The Downtown Cinema Theatre broadcasts a weekly bluegrass radio concert. 20. Aiken SC $125,000 (C). This town of 29,000 in western South Carolina’s Sand Hill country grew up as a healthy retreat where horse-loving wealthy folks could escape from hot weather. Now it has a lovely infrastructure and downtown for retirees. The point of this list is that if you are looking for an affordable place to retire that is also an interesting place to live for culture and/or recreation, here is a good place to start. We used figures from the National Association of Realtors (NAR) whenever possible to determine housing prices in mid 2009. Smaller towns, however, are not included in that data. In those cases we used a data from Zillow.com or City-Data.com. Towns using Zillow date are marked (Z) near the home price, and those using City-Data are marked (C). Using different sources means that the sales price comparisons are approximate and should not be taken as absolutes. When we developed this list of affordable towns we used some of our previous affordable articles as a starting point (see “Further Reference” below). Almost as interesting as what towns did make the list is the one of those not making it. Of course the reason they didn’t is because the median selling price of a home in those markets rose above $125,000, our cutoff. Here is the list of previous affordable towns – one could view it as a barometer of improving markets. Comments? Let us know your favorite affordable cities and towns for retirement. And if you have input on these towns, please use the Comments section below to share with your fellow visitors. I would add, respectfully, do we really need yet another listing of mostly Florida sites? Apart from Grand Rapids, any of us who dislike steamy, hot weather would find little pleasure here. We understand the criteria of cheap housing and know that serves many people. But surely many others would look to cooler places with superior educational, cultural and medical facilities to those offered in some of these listings. Again, not quarreling with the list for what it is; just would appreciate seeing perhaps more “unconventional” listings in the future, please. Thank you. I agree about the criteria other than price. As I research possible retirement locales, climate, crime rate and medical care are all concerns. Transportation to health care and shopping when you are alone, elderly and unable to drive have also been considerations when I looked at lovely and affordable places in North Carolina. Availability of religious institutions and swimming/ health club facilities for a non-golfer like me are also a consideration, as well as activities for older seniors who want to be with sophisticated and globally focused people is another concern. Anyone know anything about the retirement prospects of Adrian MI? Mt. Airy, NC also has first class municipal services, two major parks, two 2.2 mile waterside fitness greenways, and a comprehensive fitness and recreation center with both indoor and outdoor Olympic sized swimming pools. It has an award winning medical center that can handle all but brain and open heart surgery.A local regional history museum, along with a high powered arts council offer a variety of activities pleasing to retireees. A 25 minute drive will put a Mt. Airy retiree on the campus of an award winning community college. As the core city of one of the top 100 Micropolitan Statistical Areas in the US, it provides an extremely wide variety of professional, technical and skilled services, as well as a very wide variety of commercial stores and services.Breathtaking mountain views and lush municipal and private sector landscaping make Mt. Airy a vision of pleasing natural attraction. Does the median cost of 55+ housing vary from the median cost of housing in general? A friend who lives in Phoenix thinks the 55+ housing fell farther and is coming back slower than their general market. But that’s one person’s opinion. I also have a friend who lives in FL who says she’s found in some areas the housing might be less – but the 55+ communities can be more than other housing types. Again, this is just her impression. So it raised the question for me if it were true that the 55+ median cost might not be the same as the overall median in any given area, and could be either more or less? Anyone have any ideas on this? I love Topretirements. It’s one of the few sites where the info isn’t driven by other interests (ie advertising or real estate sales, etc). However, because I live in the Pacific Northwest and would prefer to stay in the western/southwestern part of our great country, I don’t find a lot of specific information. So I wonder if most of the readers of this site are from the middle to eastern/southeastern parts of our country and that’s what drives where the interest it – or has the readership from those areas grown more because that’s where the focus was to begin with? Just wondering – and hoping that there might be more articles for areas my way in the future. I live in Clearwater, FL and have looked in this area (Tampa, St. Petersburg, etc.) and have not found any areas that I could AFFORD and would like to retire in…. $139,000 for a house with a pool is only in neighborhoods that I would not want to live in….. I can relate to PC Reich’s comments. I’m in my 70s and live in Roanoke, VA. It’s a nice place. I’m near the trolley line (free) that goes downtown (library, assortment of retuarants, healthcare services, museums, etc.). The weather is moderate, although being from New England, I miss the winter season. The housing market has not been affected like most of the country, so prices are stable, i.e., no great bargains. Nearby Smith Mtn. Lake offers great water activities. Check it out. My brother lives just north of Tampa, in the Land O Lakes area as they were building his development about 10-15 years ago. I have visited the area off of Brenford Place (street name). I think this was the more affordable housing. There were some homes during the real estate boom era for as low as $100,000 as well as some homes into the $300,000 and above around 2005, I believe. I do not remember the name of the development but you could mapquest directions to get to Brenford Place. My husband and I spent 2 days looing at Delaware Coast to live. Not sure yet and will go back to look more. Anyone have any comments on the area, Lewes, Long Neck, Bethany?? golf is important and it does not look like there are a lot of courses there. Looking to be our of the hussels of the shore but not too far. My husband and I live in Ocklawaha, Florida at Lake Weir Living. We relocated from the Northeast last year. Lake Weir Living gives tremendous value to your dollar.Our home was at least 100k less than other brand new homes in Florida. Our builder, Joe Thompson is awesome and does not cut corners on quality. We researched many retirement developments and single homes in Florida. At LWL we enjoy the freedom of choosing what “we” want and doing things our way without having to pay HOA or follow the confines of retirement living. Sunny: You are correct. I like some of the information on Top Retirements but it’s focus is on Florida and many of us in the mid-west don’t want to go there. We are headed to Texas and it is pretty much void of info. on our location. I would like to see info on Arkansas towns. Editor’s note: Good suggestion Susan. We suggest that folks use our State Forums to share this information, which would be a fantastic addition to this site. For example if you go to the Forum at http://www.topretirements.com/Forum.html you will see on lower left a list of all the states (and many countries). So if you then click on a state like Georgia you will see a list of towns, plus a general category for the state (e.g. ; Georgia in General). So you can post on either the town or the state in general, take your pick. You do need to be logged in as a Member in order to protect the Forum from spammers and self-promoters. Thanks! I agree – I live in Washington state and prefer to live in the Northwest mainly for climate reasons. From the east but do not want to go back Into high humidity states. I would love to see more on this sight about retirement communities, etc. For the Northwest. Hope some people from this area get on board. Norh Carolina, Florida etc. Are out for me. @John, Good suggestion above, “We suggest that folks use our State Forums to share this information, which would be a fantastic addition to this site.” I don’t think no one knows how much time it takes to get all the information that you already do. Creating a page of this type that you mentioned above within your blog, will save many lots of time trying to recreate a wheel that already exists. Thank you again for all that you do! Check out census data at http://www.city-data.com. Is ranking on medium selling price of homes of any value in determining the real prices of homes in an area? An area with a lot of cheap run down homes will have a low medium price but that doesn’t mean that you can find a quality home in that area for a price any cheaper than an area with a higher medium price. I don’t think this ranking is worth much. I began reading Top Retirements when I first signed up, but now I only skim through some and don’t read much anymore. Why, you ask? Well, most comments seem to center around the east coast area. I am only interested in Nevada, California, Oregon, and Washington. Perhaps geographical sections for retirement comments would cause me to “READ” this site again. Yes! Western States! This whole site is so east coast focused. I have a slight interest in Florida but am much more interested in Arizona, Nevada, California. Slight interest in Northwest, if a dry area. I am with Ginger! This website if for those who love Florida!! So little information about any of the other beautiful parts of our country. Florida is flat, humid (all year round), not really an attractive state, with lots of traffic everywhere. Other than the fact it has no state income tax, I do not see the appeal. Oregon, Washington, Arizona, Colorado just to name a few have so much beauty and appeal to them. I say good-by to this website. I too prefer the Southwest for retirement versus both the East and Southeastern U.S. I think it’s easier for those that already live in the eastern part of the country to focus on an area they consider closer to family and friends. Since I live in Minnesota and my body dislikes humidity my focus will be to spend my winters in a warm but not humid area like Arizona, Nevada or parts of the states that suround them. Unfortunately for those of us that prefer warm and dry the majority of those that currently comment here are heavily focused on the east coast and I’m ok with that. We just need a few more like minded folks to share their interest in the Southwest. As you say, people on the east coast will go south mainly because it’s closer to our loved ones. Santa Fe and the Oregon coast are two places I truly love but can’t imagine moving that far from my family….is what it is. However, this site does list a lot of information about the west coast in their states and communities tabs. I say YOU All come and check out Arizona…Beautiful, sunny sunny sunny, no humidity, nice people, lots to do! Close to California and Las Vegas, and the Pacific Ocean! Perfect for me. I lived on the East Coast and South the majority of my life..would never move back. Terrible weather, and Florida is sooooo humid. We all have an opinion! Loralee–were do you live in Arizona? I lived for six years in Cairo, Egypt and found I loved the desert climate. Sunny every day–looked like noon at 6AM and it seemed to affect me in a positive way. I used to have camels and loved riding into the desert at night beyond the pyramids…lovely memories. One concern….do you have water issues? Also how is it living in a border state? I know about dry heat (carry bottled water everywhere) and A/C is also used everywhere. Also how friendly are people in Arizona. Lots of activities is a real plus. No one wants to be bored. There are many comments about Texas, many are not positive, nevertheless, they are here. I have also seen quite a few about AZ, and the ones I have seen about California, are positive except for the cost to live there. We are moving to the east Coast because of what we can afford and the type of weather we are looking for. We have family all over, so thank goodness for airplanes. We are originally from New York and have lived in California, Las Vegas, CT, and find we fit better on the East Coast for a variety of reasons. Arizona is brutally hot in the summer, so hot, you don’t want to be outside, unless you get up into higher elevations. Water is an issue and will become more so in the future as more people move there. AZ is not close to the Pacific ocean, unless you are comparing the distance from the east coast! You better like dry wrinkled skin if you live in a desert climate. The Southwest is very dry, the Southeast is very humid. There is no “perfect” state for. All states have their pluses and minuses. You have to decide what you prefer the most and then look for those areas and cities that will provide those things. To Ginger, I currenty live in the Salem area in the heart of the Willamette Valley in Oregon. We too are looking. Florida is a slight consideration but everytime we discuss it, it gets shot down due to the humidity. It is miserable there in the summer, not to mention the alligators, bugs, and snakes!! It is not so much the rain here but the gray dreary overcast skies. 60-70 days of sunshine. However east of the Cascades in the Bend/ Sisters area and Central Oregon that has some of the most spectacular scenery and realtively dry and sunny. BUT the winters are COLD !! We have currently been looking in the southwest but trying to find a place not quite as hot as Phoenix, that stays sunny and warm in winter. Ya I agree this site is mostly east coast focused. even that wasn’t warm enough in winter). So, yes, we, too, considered Florida. of relief and now we can begin the fun part. It is easy to assume that FL will be hot and humid in the summer, but if you live in a town by the water, it’s not necessarily so. I had family living in West Palm Beach and Near Miami, and was surprised at how often their weather in the summer was much better than our up here in PA. Granted WC Fields has poked fun at Philadelphia summers, but I can’t remember once when their weather was worse than ours in terms of heat and humidity. I’ve been using Weather.com to keep an eye on weather in areas of interest. The averages that you get reported on websites don’t give as good an indication of what the weather is like there as real time weather reports do. For me, the furthest south I’ll probably head is N GA, at least as long as I am fit enough to continue hiking and kayaking. Great taxes, great weather, great rivers…as long as they do not get drained in an effort to provide water to Atlanta. RE: Texas retirement. I lived in San Antonio for 14 years for work and education reasons and had a difficult time tolerating the oppressively hot and humid weather (6 months- April- late October). I also missed the cultural arts that are so abundant in my present location (Wash DC) and found the general population of Mexican Americans uninterested in intellectual or education matters. The city is now nothing but large and small shopping malls up and down the interstates and the River walk, while pretty,is overly price and crowded. Politically, it tends to be rather conservative. The only city in Texas that I like is Austin. It’s a vibrant, intellectual city with a progressive lifestyle and many opportunities for education and self improvement. The cost of living is relatively low and real estate is quite affordable. Politically it’s more liberal that other areas of TExas. The only down side is again the very hot weather for 6 months of the year. If you are considering moving to Texas, I recommend you travel there and check it out before moving there for good. Hope this helps. found some late comments about locationds to retire very informative..we plan to move and retire there ‘full time’..and although ‘blogs’ about weather are helpful it seems that once peplole move to fla they are not interested in this site as they have made the choice…consequentl, no ‘full timers’ provide input about the summer weayher and living in it..we did not want 2 homes and become snowbirds..we feel in todays times to own one home is enough..and thanks for all comments thus far..looking forward to more details about fla weather in summer..especially in the south.. The discussions on this blog have helped me to focus and distill my relocation objectives down to a single priority: Determine the right lifestyle balance of stimulating cultural, mental & physical activities that are conveniently accessible. Other factors become secondary. Discussion anyone? Can anyone help me with finding a place in Florida where it’s common to rent a place for a few months during the winter that’s furnished and near a beach. My husband and I hate the cold but still want to keep our home in Michigan and be here in the summer where it”s not as humid and hot as Florida is in the summer.South Carolina would also be another choice. I’m also open to any other suggestions. It needs to be in the mid range in cost, nothing over the top. Just some where to be comfortable and in nice surroundings. Thanks to anyone that help, this is new to us as my husband is not quite retired yet. We want to have time to check places out so we’ll be ready when the time comes. Check out both the coastal areas of North and South Carolinas. I have a second home in Murrells Inlet which is the most southern area of Myrtle Beach SC and I enjoy it during the winter months. Yes the Carolinas are hot and humid in the summers like most places on the East coast. The Carolinas offer both mountains and the ocean something Flordia does not offer. The Raleigh NC area has much to offer like shops, theater, great restaurants and is well cultured wih a bustling life but nothing compared to big cities of the North! I have lived on both southern coasts of Florida and can tell you first hand the East Coast is more enjoyable due to the cooling Atlantic breezes. I now reside in dfw in Texas and the summer here is brutal. Now when I visit south east coast of Florida in the summer it’s enjoyable compared to the south west coast of Florida and Texas. We can’t wait to relocate to Florida. Trish- I couldn’t help but think about the place we just bought in Florida. It’s furnished, near a beach and would be a reasonable rental. My husband hasn’t retired yet so we just go when we can. We have never discussed renting it out and would certainly have to talk it over. If you would like to give me your email address we may be an option. Trish, look at Vacation Rentals By Owner (www.vrbo.com). I’ve rented a number of properties directly from the owners (or their property managers) using this website. There are homes, apartments and estates available world wide. Looking at the comments about the humidity in Florida got me to wondering about the interior of the state. 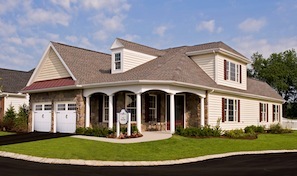 The Villages, Ocala, and Leesburg active retirement communities are in the interior. These places seem to be extremely popular, in spite of their humid interior location. Could anyone from those areas comment on the heat/humidity from late Spring to October? How do you handle the heat if you are year round residents? I guess you just get used to it someway?? Also, I read that the crime rate in Ocala is DOUBLE the national average!? Is that a true perception of the overall town, or just certain areas that need to be avoided (wherever they are)? Thanks! Constance, I lived in the Orlando area for 15 years and can definitely say that from May through October, the humidity sets in on top of temps in the 90’s. I used to think of these times as our “winter”. If you wanted to do anything outdoors, you would do it before 9AM or after 5PM. Otherwise, you would stay indoors, unless you were in a pool or the beach. From what I understand, the Ocala area is in a lower geographical area than Orlando and can get even hotter and mor humid in e summer. You can get somewhat used to it, but some days are just brutal and endless. Now, we rent in the Orlando for January and February, the best time of the year. Mark…I really like the Tucson area, which is not flat like Phoenix. Tucson is surrounded by mountains and much of the landscape there is not just flat desert, but beautiful, big saguaro cacti and flowering shrubs. Quite pretty. And, it is a university town with lots of activities. But it is hot in summer (not as hot as Phoenix). Or, you could look at a higher elevation like Sedona or Prescott, but then you will get a cooler winter and some snow possibly. Let me just mention that when the humidity is very low, the heat doesn’t feel as hot. I lived in LV for 5 years, and it had to get over 110 before I felt the need for air conditioning; otherwise my ceiling fans were enough. Of course May thru September you don’t spend much time in the sun. About FL weather. My wife and I seriously considered relocating to FL for quite some time. One of my brothers has lived near Cape Kennedy for 14 years and I attended college many years ago in Boca Raton. We were considering Ormond Beach (East) and Sarasota (West). Part of my research included keeping an almost daily log of time, temperature, high temp for the day, relative humidity, and dew point from June 9, 2011 to August. Data was kept for Cocoa Beach, FL/Melbourne and Annapolis, MD, where we lived. My objective was to have a day-to-day comparison. Results: Number of days the dew point was 70% or higher (officially – extremely uncomfortable) FL = 153 out of 260 days. MD = 45 out of 263 days. This metric was revealing. Conclusion for those who do not enjoy oppressive heat: Rent in FL for 2-4 months and live 8-10 months farther north. Ooops! Data kept from June 9, 2011 to August 18, 2012. There is no getting around it, Florida is miserable in summer. I lived there for 23 years. Every summer, for four or five months, I asked myself why I was still there. I finally relocated to the mountains of north Georgia and have loved it. For health reasons, I am now having difficulty handling the cold winters here (nothing like the true north where I grew up, but still cold). So, now we are discussing being in FL again. We did spend this winter there and I did not miss the cold wet winter at all; it was very nice. However, I do not want to be in FL in the summer. It’s only gotten hotter down there and on summer visits its been 96 in Orlando plus the unbearable humidity. If you are there just for winter it’s great. If you’re considering a full time move to the state I highly recommend you spent June through at least August there before making that commitment. People who live there, for the most part, complain about it the heat and saturating humidity during the summer. You do not get used to it. Furie, Hayesville is one of the two areas i plan to visit this spring in NC. The other is Franklin. Any comparisons for me? I like that Franklin is so close to the Great Smokey Mt. National Park. But a casino in Murphy? I don’t think that’s going to add to the area’s appeal in any sense. A big negative in my thinking. My husband and I are South Africans considering settling in the US as we have a daughter in Houston. Enjoy reading your articles on best places to retire and all the comments. Been to Franklin, NC twice and finally ruled it out. For us = too small & too cold of a town but u r correct it’s close to the Smokey’s and that was the original draw for us/me = an old motorcyclist. Thanks for your input, Robert. Not sure how small it is. I’ve been to Waynesville and that’s not too small for me. Don’t know if the two towns are comparable. As for cold, all the locations i’ve been checking have similar climates, so i guess i’ll have to live with the cold winters no matter where i choose. I know you have Florida in you sighting. Happy spring! We are interested in both the Myrtle Beach area of South Carolina and the Calabash area of North Carolina.Any feedback would be appreciated. Thanks. Relocated to Little River, SC, just south of Calabash, NC, several months ago. We bought a new home in the low $200k range. Quiet area, convenient, lots of restaurants. Beaches, Walmart, Lowes, Home Depot, etc., only 15 minute drive. Not too much traffic on Hwy 17 during snowbird season, but we haven’t been through tourist season, yet. Thanks Will, for the information. 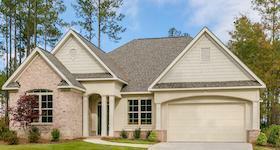 We are considering a 55+ in Calabash, as well as another in Wilmington. We live in Pa and are getting really tired of the winters. It is such a hard decision. Again thanks for your help. To Ella, actually we liked Waynesville better but Again too cold and NC taxes are not good compared to many other places. The Pastor that married us lives in Waynesville and we visit sometimes. We have been searching this site and many others for over a year now and it seems like Fl is the most affordable (and best weather for these old bones) place to be. We will keep looking and considering until our house is finally sold and the = gitouttahere. To sue – Amen, we too presently live in Pa and can’t wait to leave. Thanks for your response. What is it you like better about Waynesville than Franklin. Keep in mind, i’ve never been to Franklin. By the way, it is little warmer than Waynesville; but probably not enough for you. As for the taxes, i haven’t done the math yet. I may rule out NC as well. but all 24 hours. Have they ever gotten up at 3:30 shovel driveway, gotten on a train they may or may not be running and start your day. When you get off the train you dig your car out, drive home and shovel the driveway again. Now the senior citizens on the block can’ t get out of there house for fear of falling and brutal cold. Then the spring thaw comes and you see the toll the freezing took on the property. So as I head into semi retirement I will chance the “brutal heat ” after 9am and sit by the pool. It sure beats looking at a winter wonderland through a window and waiting for spring break. Alex: I relate to your post a lot. Moved temporarily (work) to NC from a few hundred miles north, and winter has been about 5 weeks. I only needed a light jacket when shopping the week before Christmas, and winter was only a few weeks in February instead of months. I’ve seen robins this week, and a tree in my yard is starting to show some blooms (I think it hit high 60s yesterday). Yeah, it’s dropping back into the 50s for a few days but it’s been a breeze compared to the temps and snow that my kids reported this winter in upstate OH and PA. It certainly feels safer than worrying about cardiac events in the snow or slipping on ice. I’m struggling with the whole issue of retiring near family or not, but weather is sure a big factor too. Everyone feels the heat differently. I’d go with about 3 months of “brutal heat” down here, at least during the day. But, mornings and evenings aren’t all that bad. I never miss my morning run because of the heat. In the summer I just get up at ‘the crack of dawn’. The only time it gets rough is when the Gulf and other water gets really warm (almost 90 degrees). That’s about 2 months out of the year. I’d take this over a midwestern winter any time! There are also worse places. I spent two weeks in Louisiana, in October, one year, and even in the middle of the night the heat and humidity were just oppressive. lynn, I missed your location…where is now here? Alex, I too am from NY and couldn’t agree more! I fell 2 X in my own driveway shoveling snow, (didn’t know there was ice under the snow.). Broke my wrist both times. Am headed to Florida this September with my husband looking for a place. I prefer to deal with the heat rather than blizzards and snow storms! I can never understand why folks consider the choice to be either the winter-frigid northeast/midwest or hot, humid Florida. Why not one of the states inbetween??? Ella…we’re hoping to end up in Waynesville in a few years. The difference between Waynesville and Franklin, to me, is the closeness to Asheville and quality of restaurants and shopping in Waynesville. We lived in Asheville for 6 years and I worked in Waynesville. It is colder than Franklin, but NC cold isn’t so bad and it’s short. Housing can be pricey depending on what you’re looking for. Franklin isn’t quite as bad. Franklin has more of a small town feel, Waynesville is small with a tourist feel. Both are worth a visit. Ella. I could not agree more. Some areas of The Carolinas offer as much, if not more, as Florida without the searing heat of summer (although, in truth, some places in the Carolinas are almost as hot as Florida in July and August). I think a lot of folks are suckered into Florida by the no-state-income tax illusion, even though their retirement incomes are such that an income tax won’t make that much difference. Cost of living differences between Florida and, say, the Carolinas are minimal to non-existent, depending on what areas one is comparing. I have lived in NC (two location)and VA and have folks in FL for many years whom I visited twice a year…Christmas and August) and other times but always Christmas and August., I have also lived in MN, MI, IL, NH, AL. I actually liked FL in the summer. I can tell you that weather like anything else cannot be generalized completely by state. Living on the east coast of FL is very different the the middle of FL (where I also spent some time…not much). I have had much hotter humid weather in VA and AL (in NC than the east coast of FL. But I am not on the coast in either state. Asheville is different than the triangle area. MN has very hot summers. Do research on-line, but be sure to visit. Last week in VA we had tmps in the high nineties and heat indices of 107-108 very very humid. While I waited for my house to sell I lived in an apartment (in the same charning beach town in Hawaii) that was within 2 to 3 blocks of everything: grocery stores, drug stores,, doctors, hair stylist & pedicurist, Pilates, recreation center & library. I loved the walkability, and hope to find it elsewhere. Please include walkability and charm as criteria for best places to live. In regard to Larry and Elaine’s postings, so true! If one moves to NC, SC, or GA and is not in the mountains or foothills it can be very warm. Perhaps as warm as Florida. I am (summer) heat adverse, and thus am looking into mountainous areas. No NC triangle for me! Nancy, We visited Waynesville last year. The town was so pretty, with, as you said lovely shopping (or browsing). Art galleries, good restaurants with great prices. Our biggest concern was the lack of hiking close by. We were told we’d have to drive to the BR Parkway. In 10 years that will be a problem Is there something you know of that we don’t know? (What a loaded question!) I meant in regards to hiking close by. Another concern, we’d prefer to be in rolling hills with mountains close by. Houses we saw in Waynesvile seemed to be on mountains. Are housing prices really lower in Franklin? When i peruse, they seem similar to identical. As for Franklin weather, it seems to be hotter in the summer and maybe cooler in the winter. (I’m using Sperlings Best Places website.) Do you find this to be incorrect? Are you choosing W. over F. because of proximity to Asheville? Are there other reasons? Have you considered Hayesville? I realize i’m asking a lot of questions, but then, you’re there and i’m not! Any answers you give would be most appreciated. Thanks so much! Having just left metro Atlanta after only 1 1/2 due to the crazy drivers and population density, Cherokee county and I believe Cobb county has property tax break at age 62. There is one 55+ community called soleil and lake arrowhead, not 55+ but lots of retired folks. The tax break is huge! We’ve lived in Gwinnett County GA for 22years. Relocated here from the Chicago suburbs in 1993. Definitely lower cost of living mainly due to lower real estate costs compared to up north. Cobb and Fulton housing is generally a bit higher than Gwinnett and Dekalb but again it depends on where you live within the county. Real Estate taxes in Gwinnett drop significantly at age 65. My personal preference would be the north Georgia mountains. Was just in Hiawassee,GA yesterday at it was absolutely beautiful and noticeably cooler than the Atlanta area. Does anyone have any information on the north east area of Tennessee? Maybe the area around Knoxville or Jefferson City . Jim and Tori: any info on Athens? My nephew lives in Hoschton and took me to Athens when I was visiting. Loved it there. Especially like the life time learning opportunities at UGA. Stacey – please pass along what you think of Athens. My wife and I visited about 12 months ago and loved the downtown area with great restaurants, bars, and music. We are both close to retirement age and would love to be near a major university for the sports and free classes for seniors. Stacey – Now that I’m retired I would prefer living in an area like Athens rather than Atlanta. Much safer in Athens as well as being a more vibrant and progressive community. We are interested in possibly buying into the community of Lakeside Crossing, which is located in Conway, SC about 15 miles from Myrtle Beach. Can anyone, including both current and/or past residents of Lakeside Crossing please give us their perspective on the community? The reason being, is that we have noticed In checking both their open listings of homes that are currently up for sale, as well as a listing of homes that have already sold since January, 2015, that there seems to be an unusually high amount of them. We’re aware that back in November of 2014 that some of the residents staged a protest regarding their dissatisfaction with their HOA fees, so we are wondering if that is the reason why there are so many homes up for sale in this community. So Is it the HOA fees that are causing so many residents to put their homes up for sale, or are there other problems associated with this community that we should be aware of? Thanks in advance for any information that you may be able to provide! We are interested in possibly buying into the community of Lakeside Crossing, which is located in Conway, SC about 15 minutes from Myrtle Beach. In the processing of doing some research on the community, we have found that there seems to be a rather high amount of active listings at Lakeside Crossing, as well as a high amount of homes that have already been sold just since January, 2015. We are aware that a number of residents staged a small protest back in November, 2014 regarding their dissatisfaction with the HOA fees that they are paying, but we are concerned that there may be some other problems associated with this community, as well. Could any residents of Lakeside, both past and present, please give us their perspective on this community? Thanks in advance for any information that you can provide! My wife and I checked out Lakeside Crossing when we were in Myrtle Beach this last spring. We felt the HOA fees are too high, there are numerous amenities but felt we would not use all of them. Conway is beautiful town but has a very high crime rate, check citydata.com. Valerie, the reason so many houses are for sale in Lakeside Crossing is that the HOA fees are extremely high and also you do not own the land so you have to pay land rental fees. I lived across the street in Myrtle Trace – it is about the most perfect retirement community you could want! People are very friendly, there are lots of activities and ways to meet neighbors. Unfortunately, due to family illness, I had to move but I highly recommend you take a look at Myrtle Trace. Bonnie S., So I am assuming that you own the land in Myrtle Trace. Is that right? I was just looking online at some of the open listings for Myrtle Trace, and although they showed that the HOA’s were $70, they did not list the taxes. How were the taxes at Myrtle Trace? Also, what do your HOA fees include? Does the community mow the resident’s lawns? And is garbage pickup included in the HOA’s? What is the clubhouse like? Are there very many amenities? Any information that you could provide to me would be really helpful to me, because we are planning a visit down there in the very near future. Thanks, Bonnie! Re taxes: Once you have lived in SC, you receive a “homestead” type break on taxes – I believe you don’t pay on the first $50,000. Also, if one of the owners is over 65, you receive an additional break. When we lived there (about 1 1/2 years ago), our property taxes were under $400 for a house approx. $180,000 (and yes, you own the land). The HOA fees only include maintenance of common grounds, clubhouse and pool. Garbage pick-up is not included but we took advantage of the local recycle center which is not far from the development. The clubhouse has just been refurbished within the past two years or so. It includes a kitchen, large open space used for potluck dinners, all types of games, and special events. There is also a lending library. The clubhouse is very active and I believe you can review the calendar on their website. I love to sing and was proud to be a member of the Myrtle Trace chorus – we sang at various nursing homes and also did concerts for the community. For the price, I believe it’s a great deal. By the way, I have lived in several 55+ communities and found that Myrtle Trace was by far the easiest to meet people and have a great social life. I miss it dearly. If you are a down to earth type, I think you will love Myrtle Trace. It’s not fancy – but it sure felt like home. And the development itself is simply beautiful! Hope I answered all your questions – good luck on your future visit. Does anyone have any information on Homosassa, FL. We are looking at a place called Walden Woods South. After reading the blogs, Lake Weir sounded very enticing without any HOA fees. We lived on 10 acres in the Hill Country of Texas for 20 years. After the kids grew up and left home, we moved to the Gulf Coast of Mississippi. We looked at Florida, but it was too humid, too isolated and too many “old people.” The Texas area around Marble Falls is great. Affordable, low taxes, close to Austin and near the lakes. The bad thing about Texas is the heat. I have seen 100 days of 105 and months with no rain. Then there are times that all it does is rain. Droughts and floods. We retired two years ago and moved to Mississippi. Life here is great. Good weather, low cost of housing, lots to do (even if you don’t frequent the 12+ casinos here). There is always a festival, 42 miles of white sand beaches and close to New Orleans. Couldn’t have chosen a better spot. Plus, they don’t tax either retirement benefits or social security and it’s not as isolated as Florida or Texas. Check it out. What town or city do you live in? Is there a problem with hurricanes where you are? I research and settled on. Heat yes but not the same heat as in the south. Early AM- late pm is just right. Take a siesta in the middle of the day— Friendly folks , every where— If you need a little more excitement Tucson is about 20 min away and then you come home to the quite. Houses reasonable. check it out. Only you should decide. Green Valley AZ… affordable, yes but houses very close together so that if you hold your arms out, you can touch each wall so that not a lot of sunlight gets through. And, only look east as there is extensive mining to the west and you might not like the view. Otherwise, it has it all including the multiple community centers that you can go to. Anyone have any insight on retiring in St. Augustine, FL? I’ve been stuck on a retirement location for almost 2 years. Currently I live in the far NE suburbs of Atlanta. I’ve lived in south FL and home was Ohio so in comfortable up and down 75, lol due to its familiarity. TIA! Looking to find actual experience living in Vancouver, WA. The state offers tax benefits to retirees and Portland, OR is close enough to offer big city advantages and a lower sales tax. Grategul for any and all information. Becky: I was looking at St. Augustine myself and do love it there. I know someone who retired there and loves it. She’s not in a 55+. The one thing that turned me off is that if you live on Anastasia Island, so many of the condos are being used as vacation rentals. I don’t want to live with a mostly transient population. If you live off the island, I don’t know if the same thing holds true. There is a 55+ manufactured home community near St. Augustine, Coquina Crossing. The price of a home is very reasonable but the lot rent is pretty high. There are a lot of condos in the St. Augustine area as well. I basically decided against St. Augustine because I don’t like the beach (though do love the ocean) and can’t really go in the sun…so what’s the point. I have decided to retire to Athens, GA. I really like it there and it has a lot of things that I love to do. OLLI at UGA is a big plus for me. Would love to hear your thoughts on GA since you are living there. My wife and I are focused on NE Florida for retirement; the lack of state income tax is a key driver. We love Amelia Island most of all but have found that finding a house that ticks off all our “must haves” has us widening the area.We’re looking at the greater Jacksonville area; Fleming Island; Jacksonville itself (many very different areas); Ponte Vedra Beach; Vilano Beach; Anastasia Island.St. Augustine proper is great to visit but not real attractive to live. If hurricanes concern you and you want to live near the ocean, look at the NOAA maps and you’ll see that Nassau, Duval and St.Johns counties in FL have far fewer hurricane strikes that the rest of FL The three southernmost GA counties have even fewer. Stacey, I am considering the Athens, GA area also. I have one friend there and a number of friends in the Atlanta area where I have lived twice before. I want to look into the local shopping in Athens as well as home prices. I am not a football fan, so I don’t need to be in that area when they are having a game or activities. I am pretty much a home body but like to go out for lunch and short drives and could drive into Atlanta once in awhile for the bigger stores. So far Athens looks good to me and I have been looking online for several years and have lived in a number of places in the states. Any comments about retiring in Prescott, AZ? That’s great June. I’ve been there twice. I will rent when I first go. I like the communities in West Athens. It is far enough from the university that the student population isn’t very large. I’ve also noticed a lot of different ages so that’s good too. I have no idea when I’ll be moving there. My 95 year old mom lives with me, and I can’t go anywhere while she’s still alive (she refuses to move). Hopefully she’ll still be with me for years to come. Any comments on Georgia coast cities/towns…home prices . pros and cons etc. This listing of towns is 4 years old. How about an update? Lots of things have changed since 2012. I would also be interested in comments regarding Prescott, AZ. get out of the overcrowded SF Bay area. Linda & Mike, I’ve visited Prescott, AZ several times looking at it as a place for retirement. I love most of what Prescott offers with one big exception. I have a horse and there are very few boarding stables in or near Prescott. That’s the main reason I’ve never moved there. I also have concerns about water but my friends who live there never mention water shortage issues so maybe there’s enough ground water. It is also right in a forest so there’s the potential for fires. On many weekends you do have to share your paradise with lots of day trippers coming up to get out of the heat. On the positive side: very cute and walkable downtown with lots of local music on the courthouse grounds; good restaurants; community college with classes for seniors as well as 2 other colleges; stunning scenery; Costco, Trader Joes & a natural foods store. Closeby towns are Prescott Valley, Dewey, Chino Valley. They are quite different from Prescott – more traditional and conservative. Prescott area houses range from super high dollar to modest. There are several gated golf communities. Of course there are lots of outdoor recreation opportunities all around and the Phoenix area is about 1.5 hours away. Laney – I am also a horse owner and share your concerns. So far, I think we will stay as long as we can in our current home/farm as retirement is a few years off. I continue to research areas but VA is on my list. I don’t care for the extreme heat/humidity of southern states and prefer 4 seasons. Staying in NJ for now. Thanks for the comments. Will be going down to AZ next spring . I see many properties with large lots and available for horses. let my daughter ride them (lol). We are moving and relocating to Portland Oregon next spring…. We can’t wait!! Is there a chance of more affordable places to retire out west. (eg. CA,NV.OR, WA). We’re getting ready to sell our home soon and I have been doing some research. Considering CA,only Northern part of the state is affordable. I know because I live in sandiego. I lived in oregon for 8 yrs and would recommend the coastal towns and southern part of the state. I would love to see this updated and separated into regions. I suspect that a lot of these prices have changed an awful lot. Housing costs here in Florida have gone up quite a bit during the recovery. areti11 – any specific places in N Cal you recommend? are not too bad. But for lower prices you would need to head father north – Chico, Redding, etc. Instead of affordable; give a price range. The term affordable for the state of California has a totally different meaning. Martin. …I’d check out Eureka or Crescent City. Rents in those towns start at $600. I currently live in Seattle WA which is a beautiful place, so many things to do and the climate is variable but not extreme. WA state pays the fourth highest sales tax in the country, the combined sales tax in Seattle is 9.6% (state collects 6.5%, city collects 2.6%, and remainder distributed to districts/authorities). This is no surprise as there is no state income tax. However, it is considered a tax friendly state for retirees, no tax on pension or social security income. What will make me want to move in retirement is the weather. As an older retired person I cannot see myself living in this climate, very long and dark days from Nov thru at least Mar. We have had a lot of rain this winter, a few days of ice, and just plain cold and damp weather. I do not want to live in this during retirement, I want sun! I grew up in CA and know how expensive it is to live there. Yes, you can still find affordable (list prices $275’s) northern CA in Vacaville about an hour north of SF. The idea of living in an active adult community sounds good to me. Maybe Florida. Try checking out the retirement guide for Delaware to get an idea of the areas and where you might want to be. Readers are able to post comments under specific towns. You can use the Search feature on the home page to locate articles about Delaware for more information. You can also see and post questions on the Forum. I have lived in Sacramento CA for the last 20 years. I love Sacramento but because the bay area housing market is so expensive people are moving here so they can afford a home. We own a 5 bedroom 3 bath home in elk Grove with solar and house is worth about 520K. It gets very hot here in the summertime about 110 – in the middle of summer you can expect 95 plus temps. The winters are mild, more of a mediterranean winter. There are lots and lots of people moving here. The traffic is really getting bad and they are putting another 5500 homes in off I5 half way between sacramento and elk grove. I think the state is very expensive, taxes are hi, the infrastructure is falling apart (oroville dam) and the politics are very liberal. If you are a trump supporter you do not tell anyone or put a trump sticker on your car cuz it may get keyed. However, the recreational opportunities are endless, the cities next door to us (Napa, Sonoma, Reno, San Francisco) are fabulous and people are not too judgemental cuz it is CA. I have mixxed feelings about leaving when we retire but I really feel like the state is in a downward spiral which is so sad. We are looking at Seabrook Texas for a possible move. I live in Atlanta, but looking possibly to the coast. Very south Ga on the coast there are towns like Darien, St. Mary’s. It seems there are some very affordable homes in this area ( 200’s) Also Brunswick. Would love some comments from those that have retired in St. Mary’s. Anyone living in Osprey Cove? Wondering why there are so many houses there for sale…….and even some for rent. Don’t worry about California. The state is doing just fine. California has the 6th largest economy in the world. California has a larger economy than the country of France. California is adding new jobs at a faster rate than the rest of the nation. Yes, California leans way to the left. But generally speaking; people in California don’t shove their politics and religion down your throat. The culture of California is extremely tolerant. Basically, whatever floats your boat. A live and let live philosophy. The negatives of California are it’s extremely expensive and extremely overcrowded. That’s what happens with a climate 2nd to none. Bubbajog, I so agree! You have expressed exactly how I feel, LOL. Love the coast and go there often, as we live in a small community in the southern part of the Bay Area. Husband and I are both retired teachers who managed to find a bargain retirement home a few years ago, moving from northern rural CA. I tend to avoid driving during the worst of the traffic but have figured out back road routes when it’s necessary. Our children are 5th generation Californians and while it’s not easy for younger people to afford, three of our four stayed in state and are raising families. Mary, I do sympathize about the Sacramento area. I hated the traffic when I lived there in the 1970’s and it’s certainly horrible now. I hope you find what you are looking for in Texas. We spent January exploring TX and especially liked the Hill Country, particularly Fredericksburg. Walkable and a real small town feel, with plenty for retirees to do. Yes Marianne, affordability is definitely an important issue for young adults just starting careers and families in California. Both of my adult children, born and raised, have stayed in Southern California. I truly believe the overwhelming majority of people living in California, both young and old, do whatever it takes to remain in California. It’s not easy, but it is workable. To all my readers from Florida I have a simple question on affordability. What is your price range in retirement for a condo, home, etc? I always laugh when reading affordability as $250,000 and higher. My definition is the starting price of $$100,000 to $150,000 for a two bed two bath avg 1,200 to 1,300 sq ft. What about you? Skip: My affordable is under $200,000. I think ” affordable” for most retirees is probably around $250,000. I love California, having lived in San Francisco, and Southern Calif for many years.. the weather is perfect. What I decided to do is move to Arizona, and buy a really nice brand new home at almost half the cost. I meet tons of California people here with the same idea. Taxes and cost of living here is so much cheaper. I can travel whenever I want, and still have an great lifestyle. The great thing for me is my married daughter lives in the Palm Springs area, so I can go there all the time, and I also have friends in Newport beach, LA and San Diego. It’s such a quick flight or short drive for me. When I need to get out of the heat in the summer I head to Calif. I have been in California for 30 years and truly love it……we are half way between Santa Cruz and Monterey and rural . The weather is beautiful and we have many wonderful friends but if we ever want to retire we have to leave!! We still have a big mortgage and could downsize to a condo but with 3 dogs that wouldn’t work ( and condo prices will run you $400,000 for a decent place……and we are not condo people!! We have traveled trying to find that perfect spot……reasonable housing, good weather, like minded people and the feeling we could settle in. Checked out the Puget Sound ( Port Townsend and Sequim) South Carolina ( Beaufort) North Carolina ( Asheville) The Gulf Coast and though all were beautiful, none had the certain feeling we were looking for. Such a big move we are all looking to make!! My husband is born and raised in California ( tho has traveled extensively) and when I said Louisiana he balked. I lived there for 15 years…..in New Orleans and across Lake Ponchatrain ( 40 minutes across causeway bridge) and loved it. We do go back yearly and have decided to retire in Abita Springs or Covington. Beautiful AND close to everything New Orleans has to offer. Housing prices are so much more affordable!! Yes…the weather:-) Have lived in tornado states, earthquake states and have realized that no matter where you are there will be something. Like Loralee says…..when to miserable we can visit our friends elsewhere because we can afford to!! Hurricanes can be a problem if you get hit seriously by one. But there are usually several days’ warning to determine what to do. With tornadoes and earthquakes, and even wildfires, they’re usually fairly sudden, giving you practically no time to prepare. So, Jean, enjoy living in Abita Springs. I lived in New Orleans for 14 years and loved the city and region. Thankfully, no hurricanes hit the city during that time. This isn’t really the correct blog for this topic, but i can’t find it; so here goes. I hope no one minds. I am now considering TOWNSEND, TN. Previously, i had not, as i thought it would be too congested with traffic going to the Great Smokey Mountain National Park. I”m looking for a small, country town with a calendar of enjoyable community events occuring. Somewhere i can enjoy the woods and taking walks. However, i’m concerned about the town getting congested during the peak months of visiting the Park. Also, traffic congestion going from Townsend to Walland. Does anyone have any input for me before i plan a visit? Thanks much! I rented a vacation home for a week in Townsend about 15 years ago. At that time, Townsend marketed itself as the “quiet side” of the area. It did not seem crowded or with much traffic then, and this was in summer. Gatlinburg/Pigeon Forge are about 35-45 minutes’ drive as I recall. There are many nice “cabins” (really homes) to rent in or near Townsend and I suggest you try to find one of those on the internet and experience the area for a few days. If you go to Find Retirement Towns by state and hit Tennessee, Townsend will appear. You can click on that to get more info on the town. There is also a link to a retirement community there. Also check the Forum and do a search to see if there is more info on Townsend. Thanks, Clyde! And thank you, too, Flo. I’ve already done the first (not much info. ), and on the second (forum), there’s either nothing there or i can’t open it up. That’s why i reach out to our bloggers! Ella, I believe we rented through dogwoodcabins.com in a 1400 acre community called Laurel Valley. Lots of nice choices of rentals. We were very pleased with ours. Thanks so much, Clyde! I’ll jot that down. We are thinking about getting a house in Hot Springs Village. It compares somewhat to Midwestern weather but warmer. I live in Hot Springs Village, AR, and am happy to try and answer questions. HSV is 17 miles from West Gate to East Gate. There are medical, groceries, restaurants, and some shopping just outside the West Gate. The East Gate does not have many amenities. HSV is one of the safest places to live in the USA, areas towards the East Gate are safer yet. Hot Springs is one of the most dangerous places to live in Arkansas, some areas are safer than others. Hot Springs is about 15 miles from the West Gate, Benton is about 20 miles from the East Gate. Little Rock would be about 45 miles from the East Gate. There is some restaurants, entertainment centers, meeting areas, lakes, waking trails, golf, tennis, ACBL bridge, pickleball, some medical, banks, churches and about 100 clubs inside the village. Our current monthly POA fee is under $70. We are self governed, the original builder has very little presence here. Population is about 14,500. People are southern friendly, but most do not come from the south, I would call us eclectic. I will try to answer specifics as you or anyone else asks the. You can look-up crime stats on various web sites, here is one. If you stay in the village, I suggest renting a home/townhouse and coming to the new owners breakfast, I can give you the name of a friendly realtor if you wish. Also sign up for HSV news at – http://hsvpoa.org/e-news-signup/. My personal Email is phunonephil@yahoo,com, notify me when you are coming and I will try to show you around.